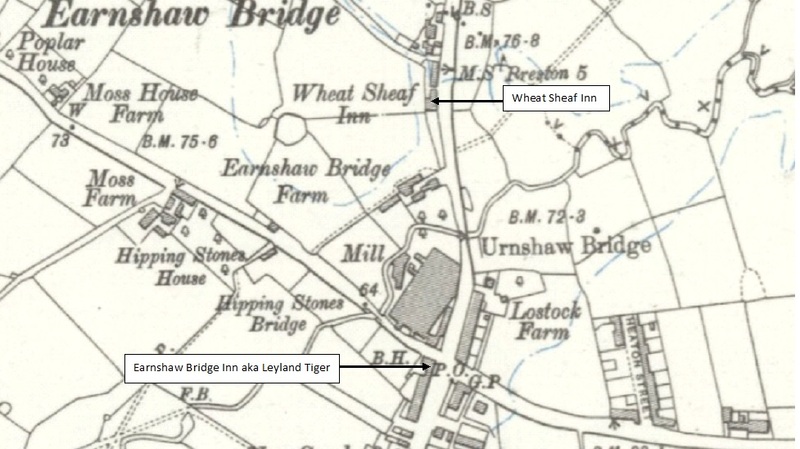 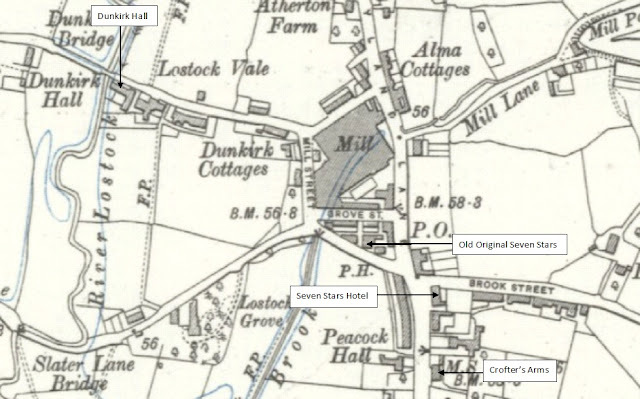 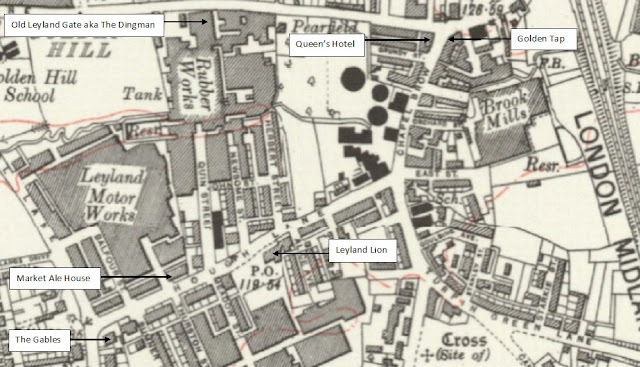 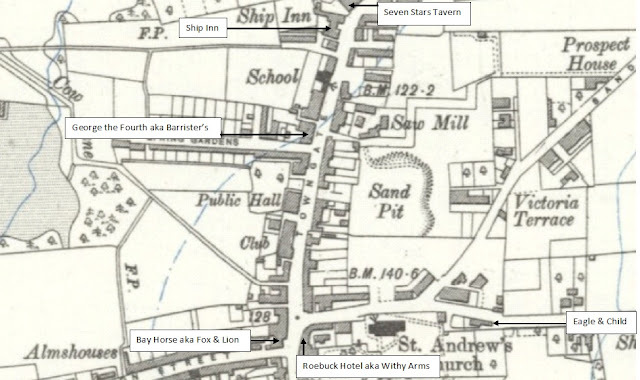 The following maps of the Leyland area help to visualise where the town's Inns and beer houses were located. 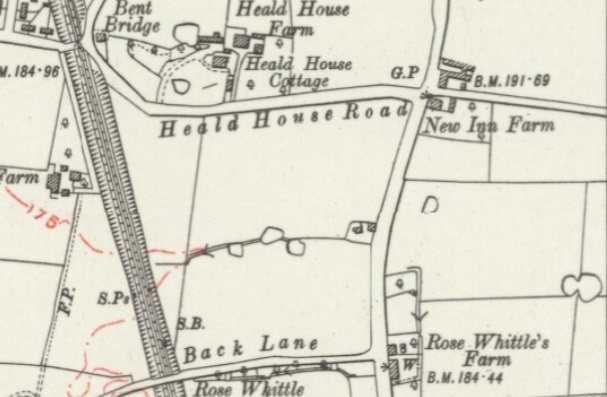 The maps themselves date back to 1928 when much of the surrounding area was still farm land and undeveloped compared to today's Leyland. 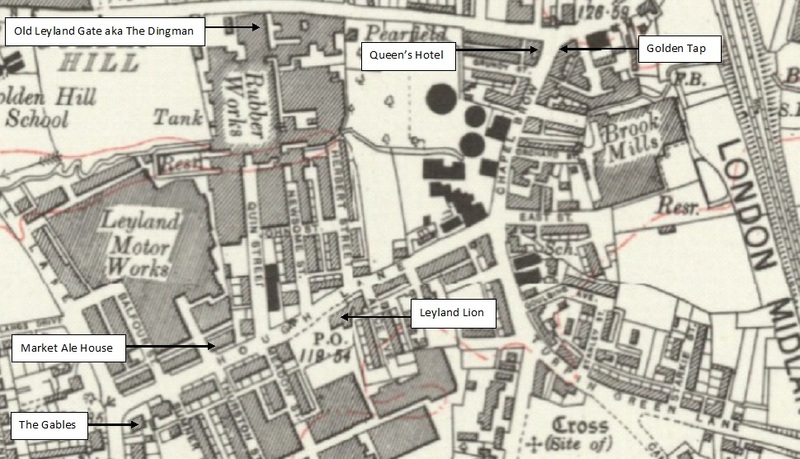 In a similar way, the town centre has also seen much redevelopment since that time. Leyland has a rich heritage, not only in terms of its Inns and Taverns but the industry around the town, which has left a lasting legacy. I have to pass on my thanks to the Leyland Historical Society whose fabulous website was an inspiration to me in completing the Leyland section of this blog and provided many useful pieces of information and historical facts that helped guide me through the research.